We are proud to share the following letter from customer, Atlas Laster, about an experience he had at the Kirkwood, Missouri Car-X location. How to describe the fun CarX Crazy K race yesterday? Yes, it was fun. Yes, it was a bit challenging. Yes, I fell during the obstacles. Yes, I fell into a big hole of muddy water. Yes, it was hot, hot, hot. Did I mention it was crazy? 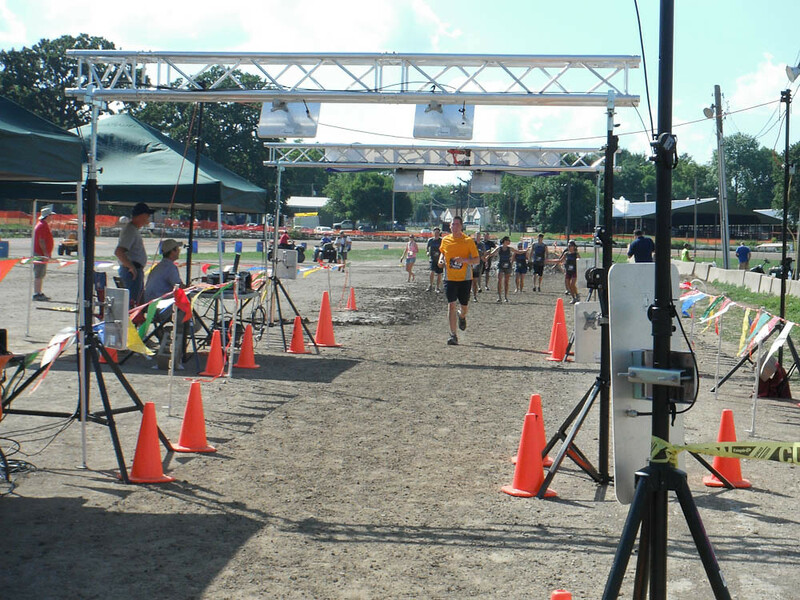 I remember thinking exactly that as I ran through the course and its obstacles. 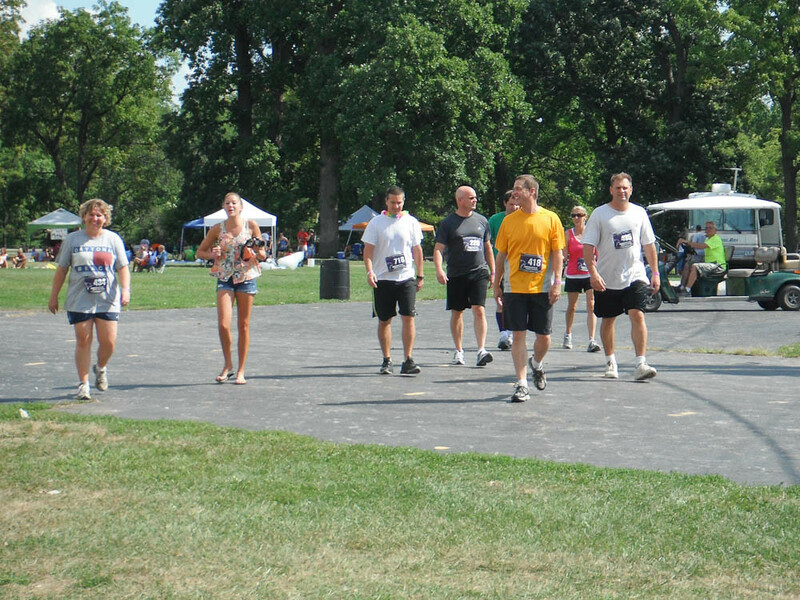 The race proceeds go to local charities, and it’s an event sure to be repeated in future years. Plank Walk – walk across logs over a big pit of water. I chose the skinniest log and almost fell off. CarX Wall – A 4 foot high wall. I strained my left leg going over this thing. Tirade – a sea of tires. I planned to run these, but I didn’t step carefully into the first tire and fell down. Scott said he would have burst out laughing if he wasn’t “so focused” on the race. Hurdles – 10 – 2 foot high hurdles. After my tire episode, I knew I had to walk over these. It was a good time to drink some water. Tunnels – crawl through 3 foot high tunnels. I have a scraped back because I refused to crawl through on my hands and knees. Muddy Hill Climb – at mile 2.6, this was slippery and steep. I almost fell several times. Caked with mud, my shoes were now 5 pounds heavier. Hay Maker – Climb over large hay bales. I am way short for this sort of obstacle, but managed to get over it. Slip-N-Slide Car Wash – This was the most fun – a slip and slide covered with foam. Sure, you landed in a big puddle on the bottom, but it was fun. 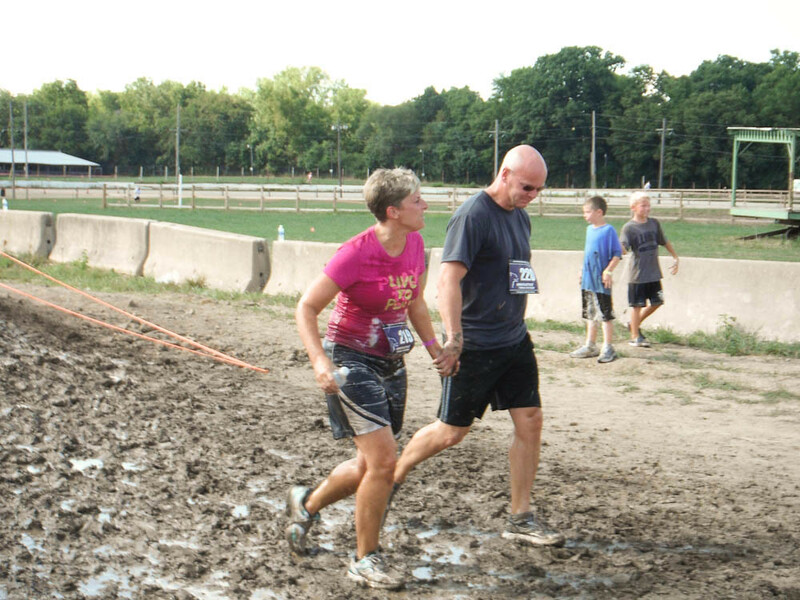 Muddy Crawl – The last obstacle – a watery, muddy pit, about 2 feet deep. I slipped at the edge and fell in. 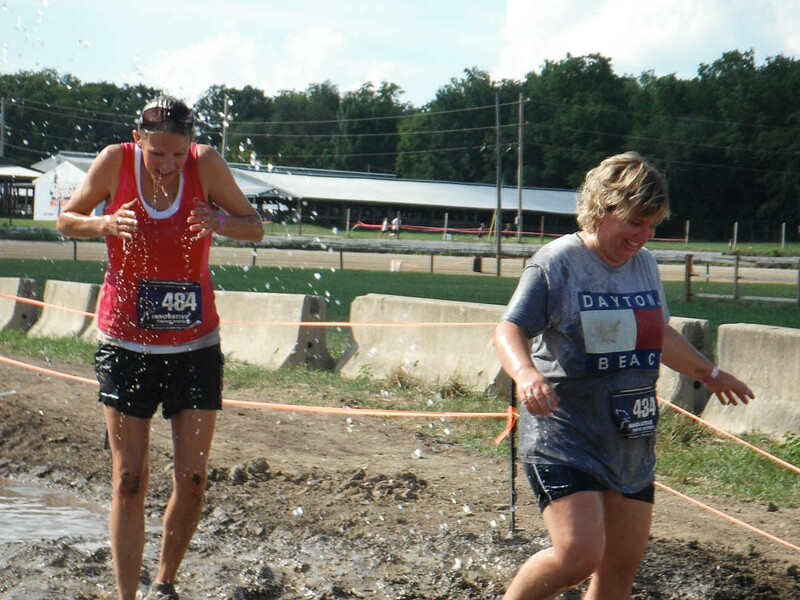 I sloshed through and up over the muddy bank and ran to the finish line, shoes full of rocks, water and mud. Oh yeah, I wore a costume – an old cave girl costume I’ve had since college. I’ve put it out for sale at the garage sale for the past 5 years. I guess it’s never sold because I was destined to wear it again. Maybe this is a new tradition for me – run the future Crazy 5K wearing the same outfit…..